7:40 PM ET - Here's one out of left field: Ryan Miller could be on his way to San Jose. 7:38 PM ET - Lots of buzz to catch up on today. Coyle to the Bruins was not much of a shock, but there was some question as to whether he was actually available. 11:10 PM ET - Rumblings this evening that a package for Matt Duchene from the Predators could including Eeli Tolvanen. Tolvanen was once considered untouchable by the Preds, but with the team going all-in once again, it looks like he could be available. Duchene is likely to be held out of games before the trade deadline now that he is almost certain to be traded. 5:13 PM ET - There seems to be some frustration among the trade deadline buyers, who are waiting for prices to drop. With less than a week to go, many expected prices to go down by now. The issue, most likely, is that the market has not been set - with Matt Duchene, Mark Stone and Artemi Panarin still out there, sellers aren't ready to show their hands. And many buyers who would prefer to get in on the secondary market aren't going to get their best offers until the top guys are moved. 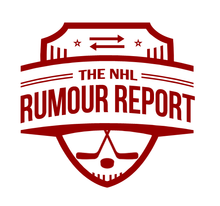 3:33 PM ET - New rumour blog up today - Hayes, Staal, Panarin and more! 5:30 PM ET - Sounds like the Rangers are working the phones on a number of players. Zuccarello (85% trade likelihood), Hayes (65%), Namestnikov (50%) and Kreider (45%) could all be on the move. 4:27 PM ET - New rumour update out. Also, keep an eye out for players getting scratched in the coming days; Gustav Nyquist is 'ill' and won't play for the Red Wings tonight, but I wouldn't be surprised if he's not back in the lineup at any point before the NHL trade deadline. Rumours suggest he's being shopped - the asking price is a 1st round draft pick. 12:35 AM ET - Sure sounds like Duchene is on his way out, with reports that he has now officially been put on the block by the Senators. Expect things to intensify this week. 10:36 PM ET - Matt Duchene is more than likely on the move, while the Sens continue to hold out hope for Mark Stone. But that's looking doubtful as well. Conversations continue with both players, but the priority appears to be Stone right now. 4:28 PM ET - Wildcard team for Artemi Panarin: Dallas. 4:22 PM ET - Conflicting reports about Cam Talbot to Philly. Some suggest it's a Talbot for Elliott swap, others say Stolarz is the player going the other way. The Oilers desperately need cap space in order to take Andrej Sekera off LTIR. 2:50 PM ET - The Jesse Puljujarvi trade watch is back on again. This time I think this is more the player wanting out than the Oilers trying to use him as a trade chip. Will have more on that later. 2:37 PM ET - Is today the day the trade market busts open? With just 10 days to go, there's a lot of buzz out there. Plenty of rumblings that a Cam Talbot trade to the Flyers might get done this weekend. 1:35 PM ET - The Mark Stone-Winnipeg connection grows stronger. Who might the Sens want back? Kristian Vesalainen and Jack Roslovic would be high on their list. 12:50 PM ET - The Minnesota Wild could be ready to bust up big parts of their core as they retool on the fly. 3:14 PM ET - Another rumour update here. Lots percolating; gotta keep up! 3:10 PM ET - We're getting closer to resolutions on Mark Stone and Matt Duchene. More in today's update. 11:36 PM ET - Lots of updates on the Trade Rumour Board today, and tweaked the way it looks a little bit. Now players whose Trade% is rising are coloured red, and those with falling odds are coloured light blue. It's being updated many times, every day. Check it out. 5:24 PM ET - New rumour blog today. Top 15 big name players post coming tomorrow. 4:26 PM ET - I've nerfed Artemi Panarin's trade odds quite a bit after a report suggesting skepticism that a trade will happen. 1:15 AM ET - New rumour blog up at around noon tomorrow. 3:14 PM ET - Today's Rumour Report update - lots on Bobrovsky, Panarin, Brassard and more. 1:01 PM ET - Add Nashville to the mix for Artemi Panarin. 4:05 PM ET - A TON of scouts and executives were at Sabres-Stars on Wednesday, for what it's worth. Both teams could be surprise sellers if they can't stay in the playoff race. Dallas in particular has made a pile of players available - we know Valeri Nichushkin, Mattias Janmark and Brett Ritchie are all being shopped. 1:03 PM ET - Derick Brassard and Riley Sheahan to the Panthers for Nick Bjugstad and Jared McCann. A lot of contenders were looking at Brassard, but it's the Panthers who sneak in and scoop him up in what looks at lot like a 'shakeup' type of trade. Bjugstad is better suited for third line duties than Brassard was. Rumblings are already suggesting the Panthers could flip Brassard before the deadline. 12:03 PM ET - Lots of buzz around Cody Ceci, Mark Stone and Ryan Dzingel as well. Senators could be a major player at the deadline. 11:15 AM ET - The pendulum seems to be swinging pretty hard towards a Matt Duchene trade - sounds like Ottawa isn't willing to give up the kind of money Duchene wants. 11:01 AM ET - Time to crank this up. The Jake Muzzin and trade should serve as a reminder that the NHL trade deadline fireworks doesn't just happen at the final buzzer on the last day to trade, it's a gradual buildup that results in flurries of trades along the way. Stay tuned for much more. Check out our recent rumour updates in the meantime.